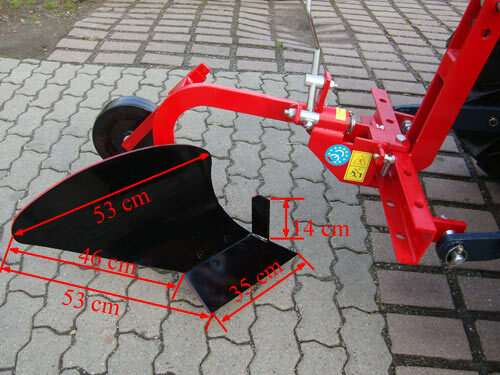 One-body plough PF25 with adjustable jockey wheel suitable for tractors from 16PS. The plow / plough is built very strong - the material has not been saved. 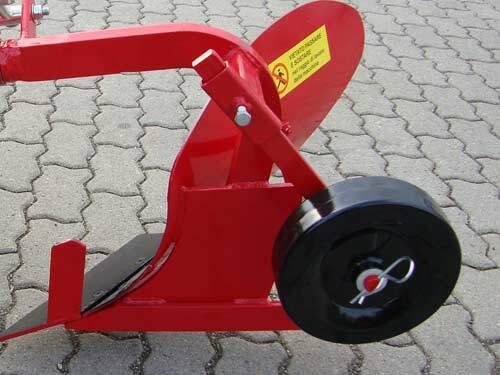 The plow can be moved in 5 steps in the holes . 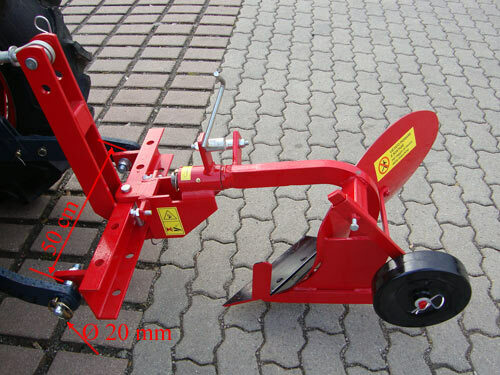 The hole spacing is 11 cm. It must only be screwed accordingly. 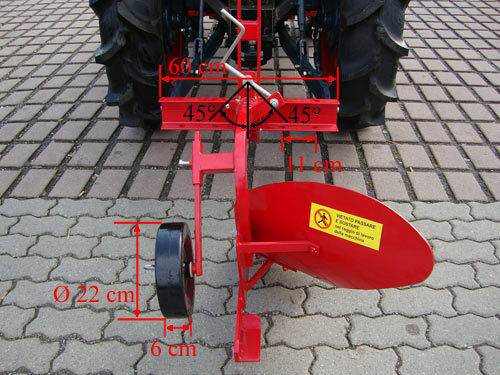 Furthermore the plow can be continuously angled up to 45 ° to the left or right.